R1-Jet Bolin Webb Shaving Razor compatible with Mach3 blades. This model is iconic in the collection of Bolin Webb razors. 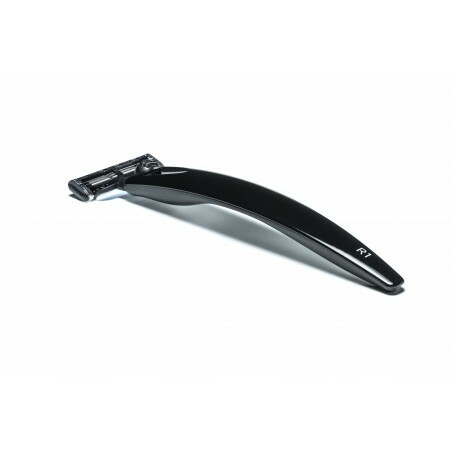 It has an elegant lacquered metal black handle that accepts Mach3 blades. The curved handle that features a bacteria-resistant rubber underside is comfortable to grip and allows for a comfortable, quality shave.